Do you often find yourself asking “where should I go eat a Burger?” Believe it or not, I do too. 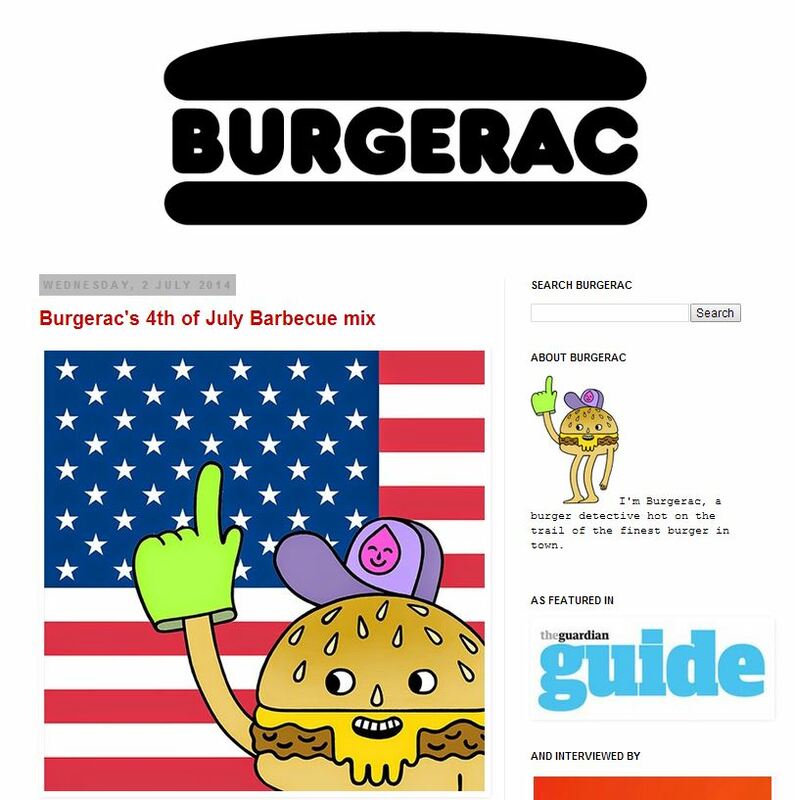 The following is a list of some of the best blogs in the entire world to find out about Burgers, Burger news and Burger related events. Welcome to my network of Burger Bloggers. – A running stream of delicious looking Burger photos and reviews of Boston based Burgers from Chef Richard Chudy, who is a self-proclaimed Food snob. Favorite Blog Post: Alden & Harlow – anyone that eats a Burger and then returns later that same day to eat it again, truly loves Burgers. – Traditionally the UK doesn’t have the strongest history of being known as a Food destination but reading Burgerac will make you believe otherwise. Along with intense close up photos, you’ll find Burger merchandise and cool Burger oriented art projects like the “Burgermat Show,” a collection of cool Burger place mats in Burger form. Favorite Blog Post: Patty & Bun Ari Gold – Gav’s in depth description of each Food item he ate is as mouth watering as the pictures. Plus, as one of the founding members of NYC Wing-Off, I always appreciate praise of good Hot Wings. – WARNING! 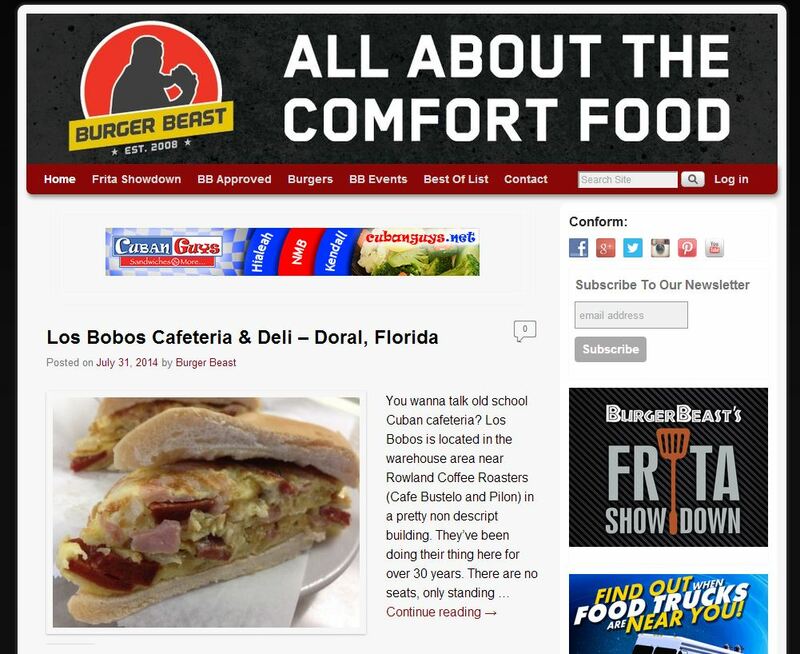 Following South Florida eater extraordinaire, Burger Beast, will make you hungry, ALL THE TIME. The Beast always tells it like it is and has an amazing working knowledge of all the best eats in the area. He also hosts some of the greatest Food events in all the land, like the Burger Brawl. Coverage: South Florida, mostly Miami. Favorite Blog Post: Saturdays at El Mago de las Fritas – This post made me want to be there in the moment with the Burger Beast, eating everything listed. Thankfully on my first trip to meet him, I got to live it. Your brain will melt as the Chicharrones start cooking. 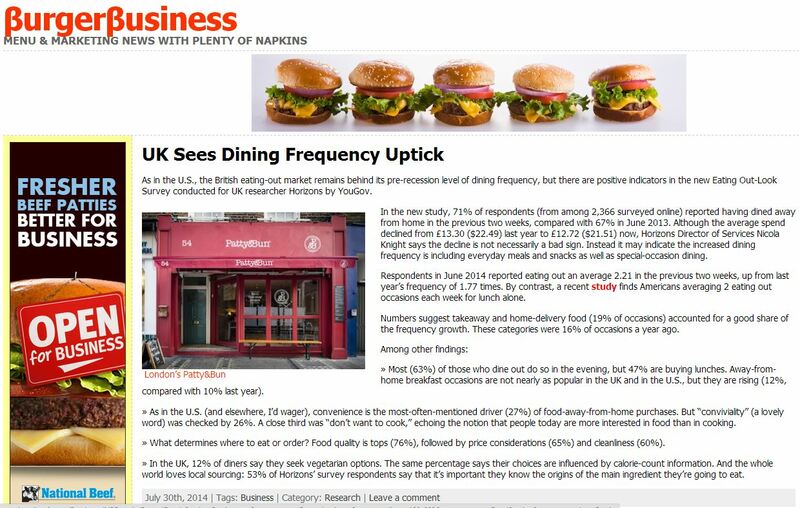 – Unlike the rest of the sites listed, Burger Business is not a site for Food reviews. As the name states, it’s a trusted news source for all that is happening in the business of Burgers. I read it daily. Favorite Blog Post: The State of the Burger Market, 2014 – What other source do you have for finding out that the US Burger business is worth $73 billion and that there are roughly 1.6 burger restaurants for every 10,000 Americans? – The best Food blogs are written by people who are truly passionate about eating and Burger Junkies is one of the best examples out there. 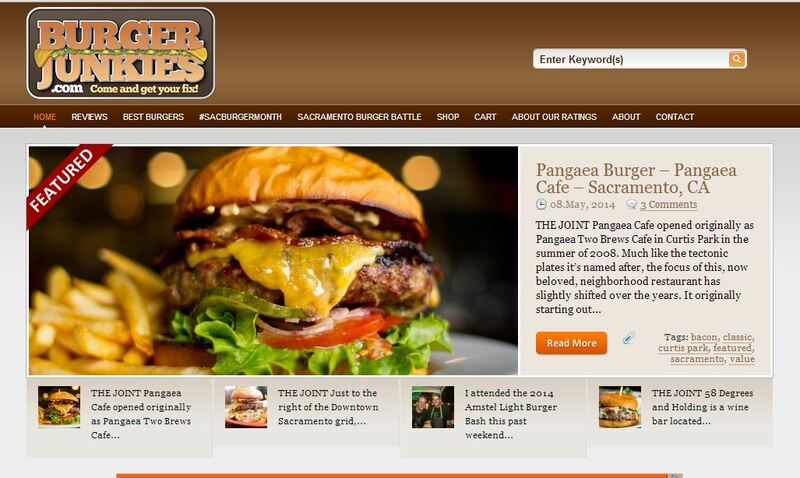 They also host the annual Sacramento Burger Battle. Favorite Blog Post: Playground Burger – The Playground – Santa Ana, CA – Rodney not only knows how to weave a good tale but is incredibly talented when it comes to a detailed review of a Burger. This is a perfect example. 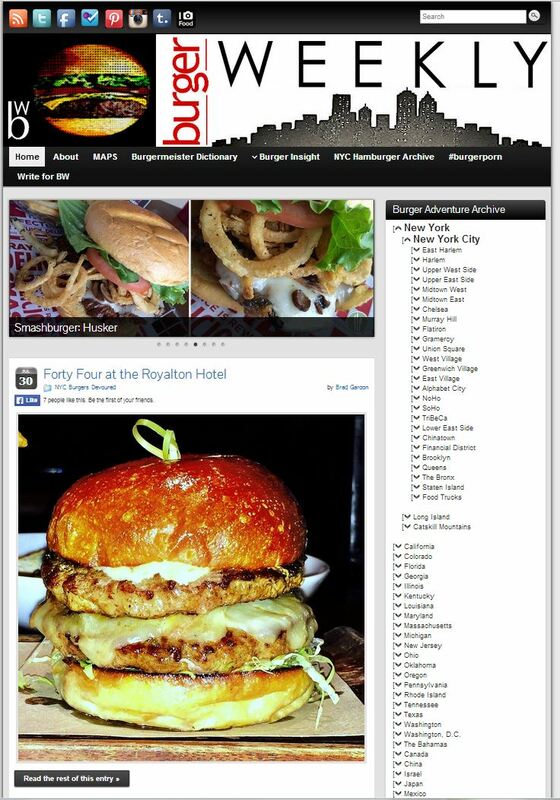 – What started as a blog that reviewed Burgers in NYC has become the fastest growing network of Burger bloggers around the country. This crew owns the hashtag “#BurgerPorn” and will have you in a constant state of liking Burger photos. Coverage: Most New York City but growing correspondence around the US. Favorite Blog Post: Piper’s Kilt – Some people never travel further North than 57th Street in Manhattan or East of 1st Ave to eat a Burger. There are a lot of great, great Burgers out there in NYC and Piper’s Kilt is definitely one of them. – I’m not sure if their birth names are actually Hereford and Angus but I am going to stick to the belief that it is the case. In their Burger reviews they bring a scale and tape measure so that you the reader can have an accurate description of the Burger. Favorite Blog Post: Snoop’s Grill – These guys are great story tellers and their reviews read like a conversation between two people calling a baseball game. This Hereford solo adventure in particular has a great reference to Dante’s Inferno and any time you can relate Mephistopheles to a Hamburger, you have my attention. – I love what I like to call “Burger Hero Shots,” which are just large photos of Burgers that make you want to put them in your face. 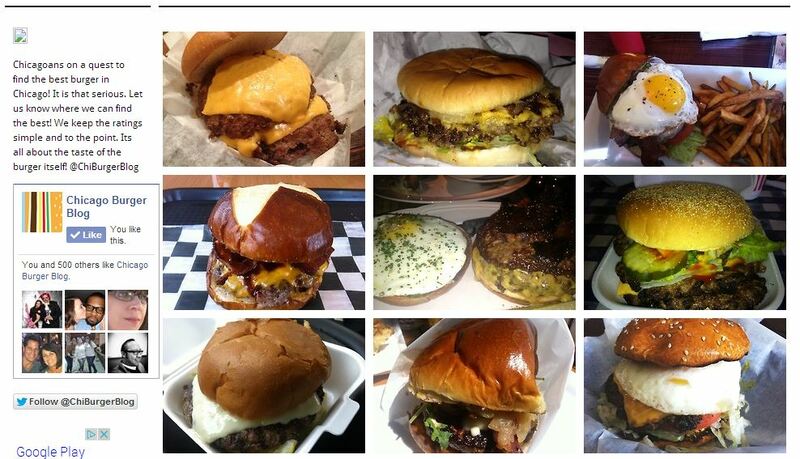 Welcome to every review on the Chicago Burger Blog. Favorite Blog Post: The Burger Point ~ The Dirty South and The Ashman– Click the link and look at the picture. You will instantly read everything they have to say. 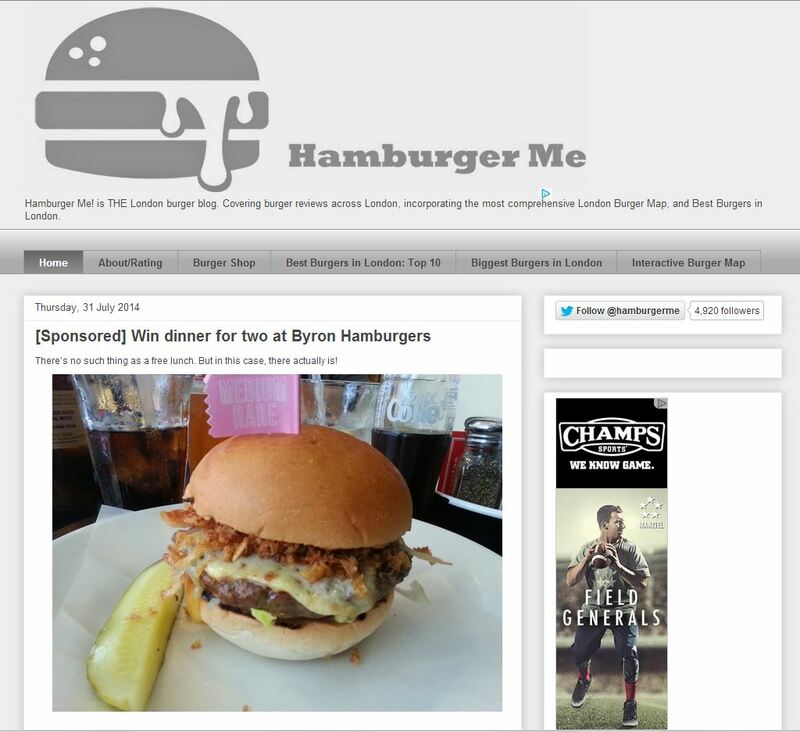 – To expand upon the exploration of the British Burger scene, you can rely on Hamburger Me! to deliver the goods. Bonus, they sell Burger Me! cuff links. Favorite Blog Post: Elliot’s Cafe: The burger that blew my socks off – If this review does not make you want to instantly be seated in front of this Burger, you might be on the wrong blog. 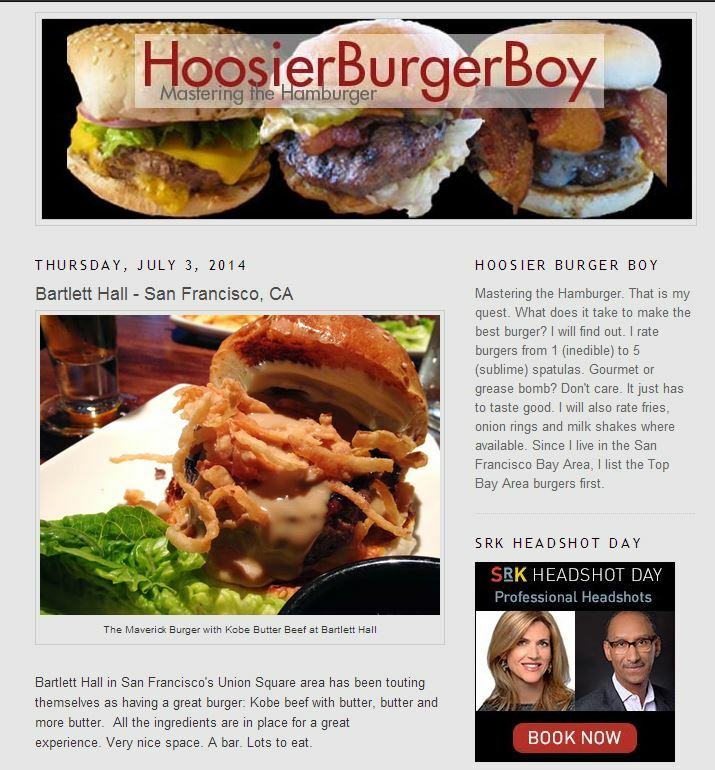 – Hoosier Burger Boy is photographer Scott R. Kline’s love letter to Burgers and all their accouterments will give you a realistic look at the Burger scene in and around San Francisco and other places from his travels. Coverage: North California and beyond. Favorite Blog Post: Bill’s Place San Francisco, CA – When I am visiting a town I generally want to eat the Burgers that have stood the test of time. This post put a trip to Bill’s high on my list for my next visit to the Bay Area. 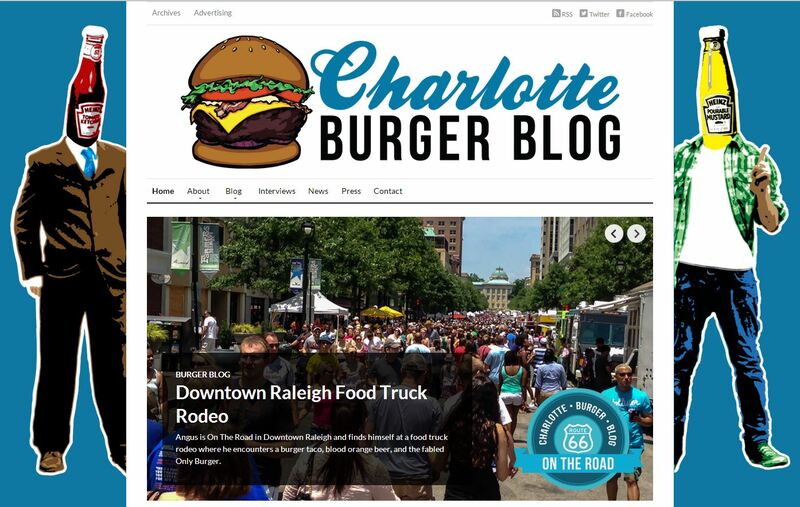 Where do you go to get your Food and Burger news and reviews? Send me a tweet. 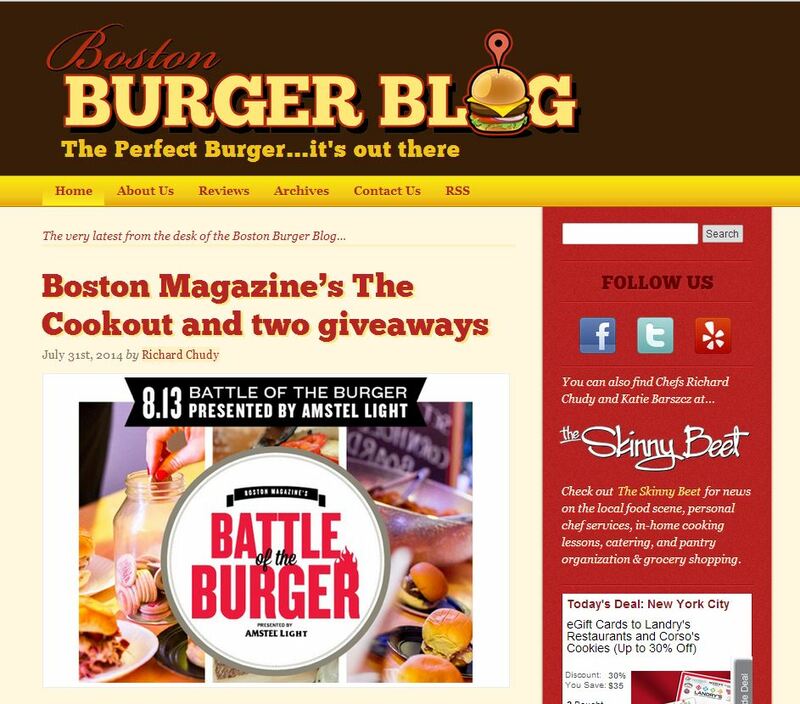 This entry was posted in Best Of, Burgers, Gourmet Burgers, Hamburgers, Massachusetts, New York and tagged bar, best burger, best burgers in nyc, blog, bloggers, boston burger blog, burger beast, burger blog, Burger Business, burger club, burger conquest, burger junkies, burger weekly, Burgerac, Charlotte Burger Blog, cheese, Chicago Burger Blog, ciancio, david, food blog, french fries, gourmet burger, great burger, hamburger, Hamburger Me!, Hoosier Burger Boy, nyc, restaurant, rev, review. Bookmark the permalink.